All of us have our little circle of friends who we to go for advice, to hang out with, for support, and basically to feel like we belong somewhere. It’s interesting to see all the friendships from high school and how people grow apart despite the fact that they live in the same city or even blocks from each other. That’s fairly common I suppose, people grow apart, make new friendships, and life goes on. 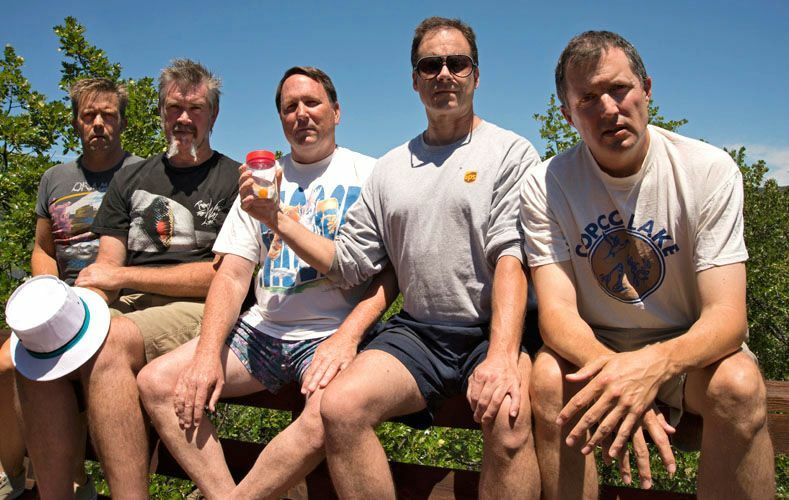 If anybody knows about lasting friendships, it has to be the five guys of Copco Lake. ‘The Five Year Photo’ project started back in July 1982. 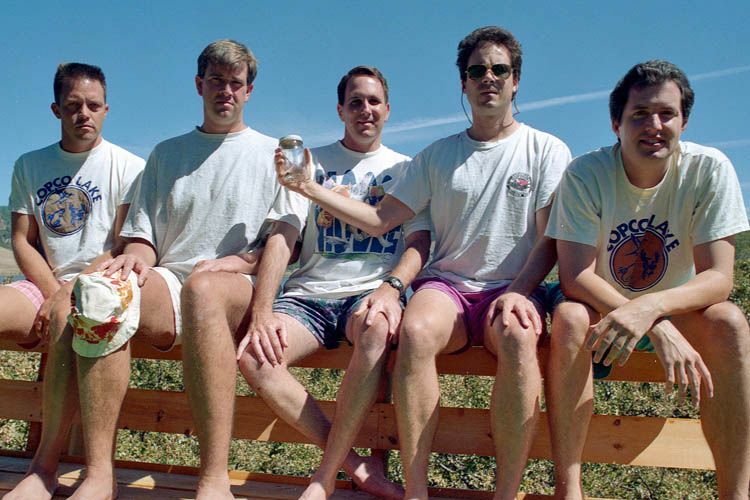 A year after high school, buddies John Wardlaw, Mark Rumer, Dallas Burney, John Molony, and John Dickson took a self-timer photo that would unite them for decades to come. With a snap of a picture, a pact was made to come back to that very spot every five years to pose for the camera. They returned just as they agreed to. Every five years, they return to the same bench with the same view in the background. They all even sat in the same spots as they did in 1982. They paid attention to the details as well with John Molony always holding the jar while Mark Rumer would have the hat on his knees. 10 years later, the shirts stay on. John Molony forgot his sunglasses and the jar is now huge. 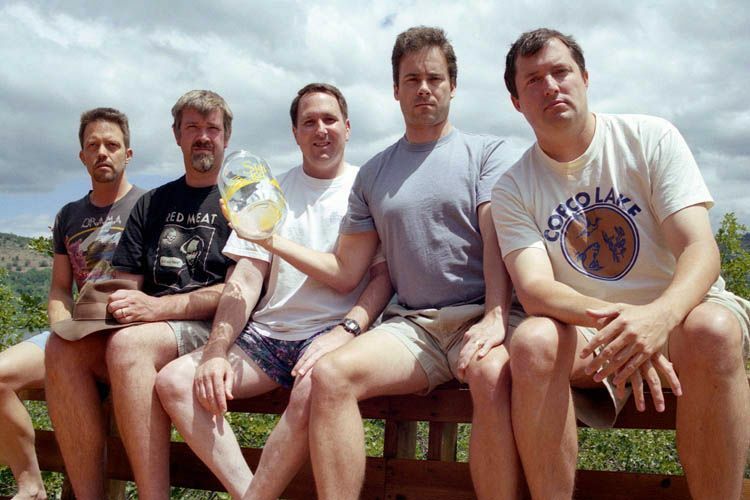 25 Year Reunion: First time the guys used a digital camera for the official pose. 30 years and a few hair transplants later, still going strong. This got me thinking about my own friendships. I went over the number of people I hang out with from high school and I was pleasantly surprised. I hang out with 18 people just from high school that I consider close friends and still continue to see them either on a weekly basis, every few weeks, or at least once a month. Considering we graduated in 2003, managing to stay close with 18 folks from high school is not bad at all. If interested in seeing more pictures of the Copco Lake friends, check out their webpage. And it’s not too late to start a tradition like this with your own friends. It would be very cool and a great thing for your kids and grandchildren to see. I Loooooooooooooove these guys!!! What a great idea. Can’t wait until 2017!!! Great find..reminds me of that documentary 35 up? Probably got the title wrong. I can already see the next project. 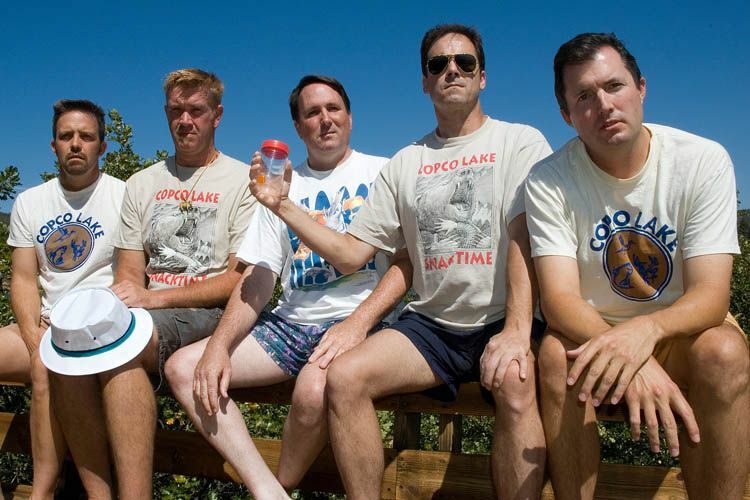 “The Kids of Copco Lake”. Ha ha..